Steph was over yesterday…..out of the blue, she says, “I want to make a quilt, Mom”. So after a little questioning, we determined that she wanted a lap sized quilt to drape over her bed. 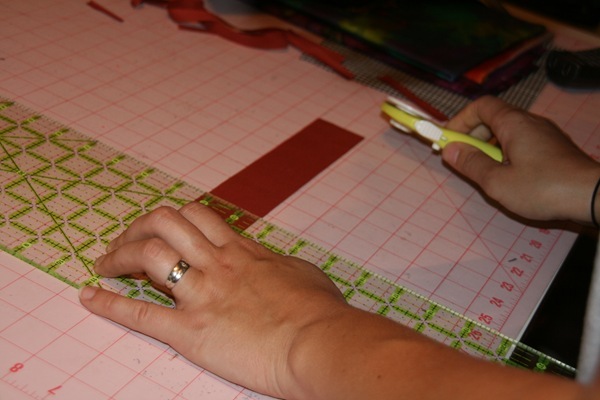 She perused a few of my books, and we settled on a simple pattern…. 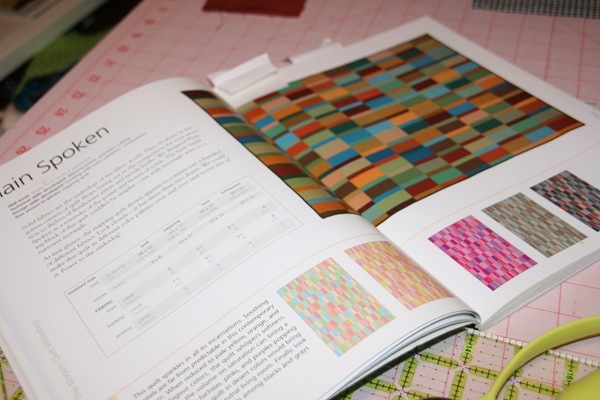 …..from the book “The Modern Quilt Workshop”, by Bill Kerr and Weeks Ringle. She will finish all the cutting tonight, and then I can introduce her to the sewing machine. Maybe tomorrow. Oh, I do hope she enjoys this project! I’ve got lots more fabric for her to use! Oh lord, you shouldn’t have mentioned fabric, all your friends are going to bury her in the stuff!! And yes, it would be a good subject for a blog post. 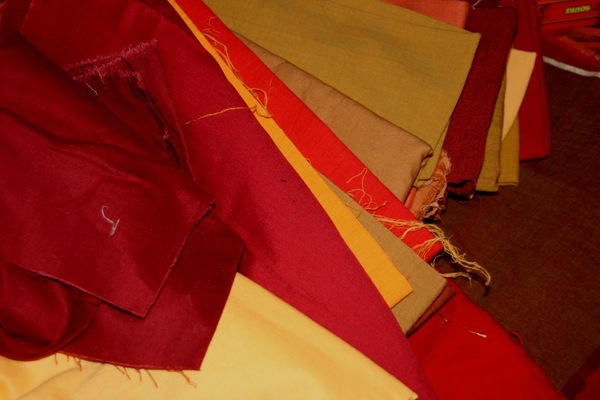 and if you need more fabric………..the house of gail is open!! What fun!! How fun for both of you. Can’t wait to see how it turns out. Can’t wait to see how it turns out! That Girl has a yernin’ for learnin’! Oh good, you can give away fabric and feel virtuous. So glad Steph is joining the crazies.